JMCA General Community Meeting – Welcome to Jefferson Manor! Join us and hear from representatives from Christian Relief Services of Virginia (CRSVA), an affiliate of Christian Relief Services Charities, a non-profit and non-denominational international philanthropic organization of sixteen charities headquartered in Fairfax County, and Rebuilding Together, a nonprofit organization that makes critical home repairs at no charge to help low-income homeowners. CRSVA has purchased the Huntington Garden Apartment complex on Fairhaven Avenue and will be phasing in changes and improvements to the community. One of the changes will be bringing the number of affordable units from 60% to 100%. 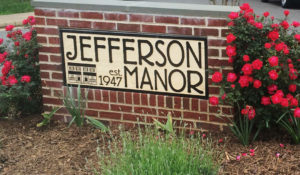 Rebuilding Together reached out to the Jefferson Manor Citizens Association seeking a community partner in Fairfax County for a geographically focused effort aimed at helping seniors age in place. The JMCA Board voted to work with the organization to mobilize volunteers and sponsors in the neighborhood for projects that will ultimately help our neighbors remain in our community. Representatives will have more share and will answer any questions from the community.